Roll off trailers in Michigan can have 6, 7 and 8 axles without special permits. 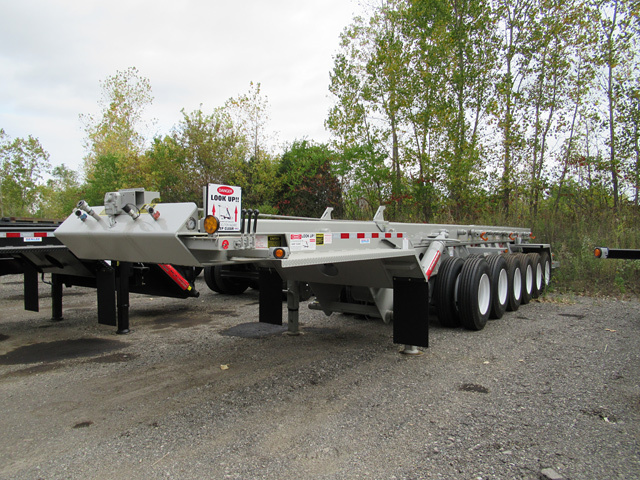 Most of our customers run 6 or 7 axles, so we stock 7 axle rolloff trailers for same day shipment. With the market today, being as tough as it is, we have changed our business model to support our customers, so that is why we moved to a stocking model for seven axle trailers. Call us today for a quote on a roll off trailer.